Check our Schedule for Upcoming Public Kids Shows! If you don't see a date the works for you, please check back — we add shows all the time! Or call Marne at (303) 455-1848 to schedule a Mystery for kids! 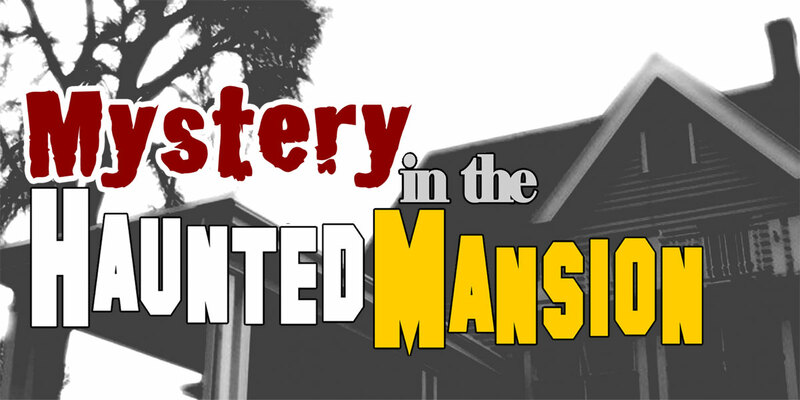 At Adams Mystery Playhouse — this is a chance for YOU to solve the crime! 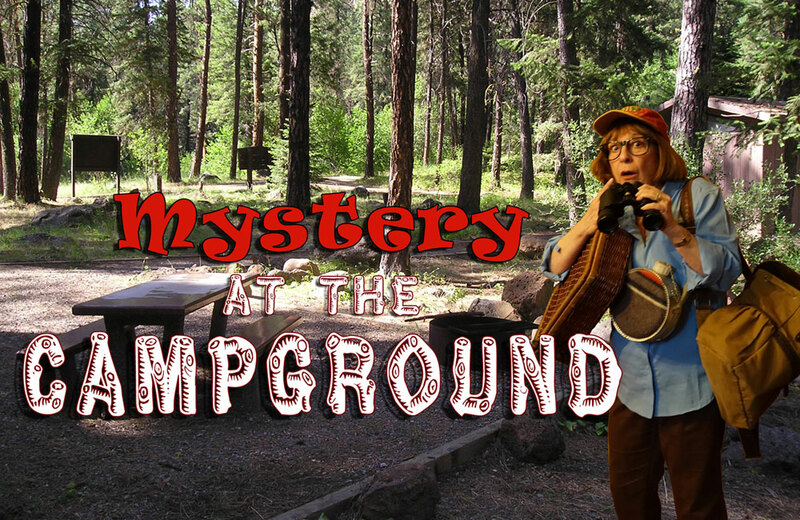 Adams Mystery Playhouse is the ONLY Mystery company with shows that are all-age appropriate and kid-friendly—with Interactive Mysteries written and produced JUST FOR KIDS and PRE-TEENS! 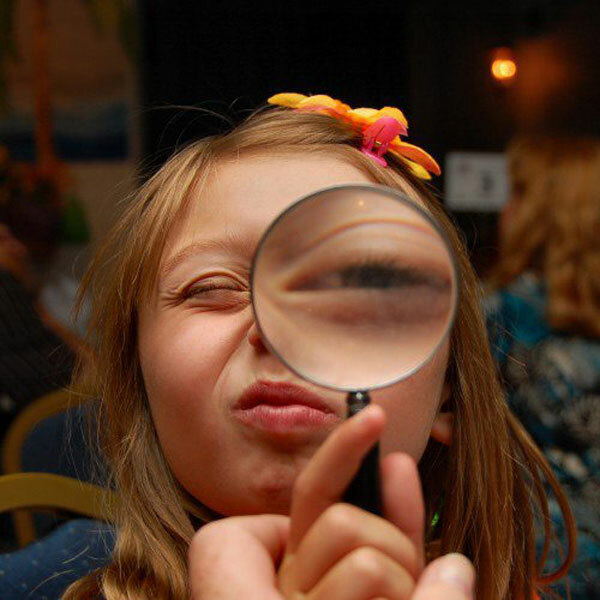 Our Mysteries are the perfect choice for Kids Birthday Parties, School Field Trips, Fall, Winter & Spring Breaks, Summer Camps or a Fun Activity for Kids and Teens! 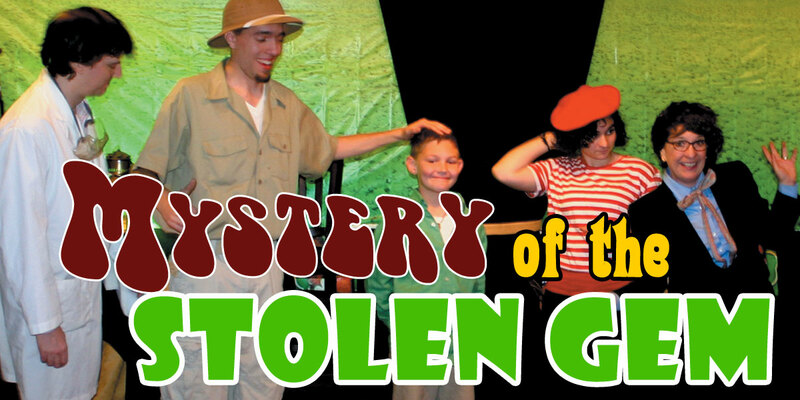 Kids love mysteries and get to participate throughout the show. The kids get special time on stage, reading clues and becoming deputy detectives. Our Mysteries are fun, funny and very interactive, and your kids get a chance to solve the crime as a team, while using logic, imagination and creativity, and critical thinking! Come to the coolest party venue in Colorado and Denver's ONLY full-time mystery theater, Adams Mystery Playhouse. 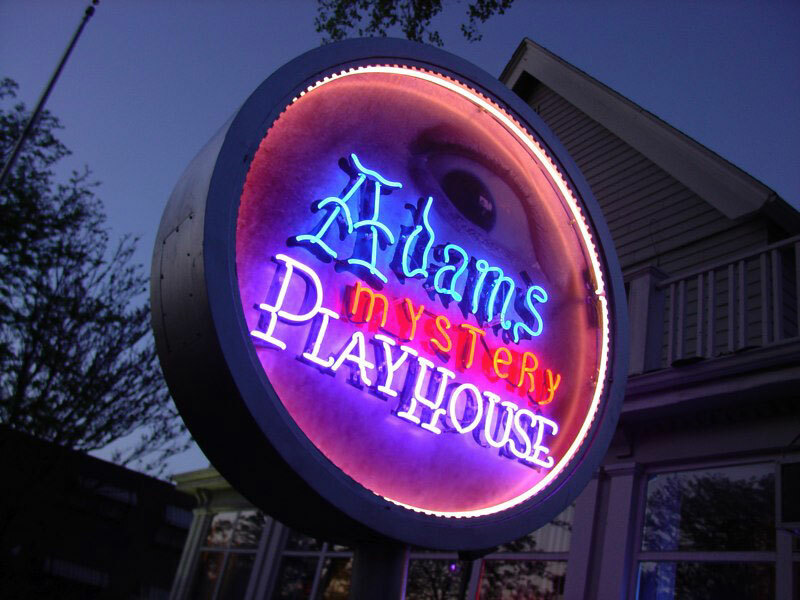 Located just 2 minutes from downtown and the Children's Museum, Adams Mystery Playhouse is easy to get to and has plenty of FREE parking! "My kids and I attended the show. It was a wonderful time. I am always looking for great clean, interactive fun for my children and I don't know of anything better on the front range. A little bit of improv, little bit of magic, little bit of mystery, and a lot of fun! You did a great job. Doing shows for children can't be as rewarding as the evening shows, but I really appreciate it that you provide something for the children. THANKS"
"All the kids in attendance enjoyed it very much — judging from the laughter and participation! Fun for the grownups too, but the entire family should not miss the dinner shows!" Tickets are $10 per person for everyone in attendance (show only). 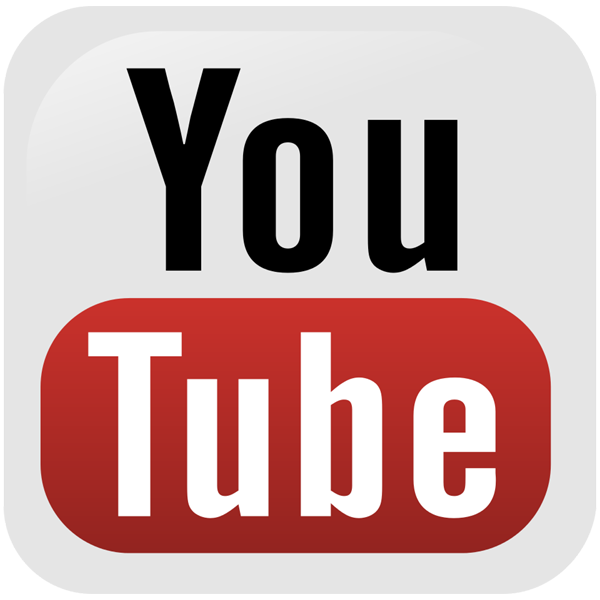 Open a Saturday Afternoon Public Show with a $300.00 minimum, for up to 30 guests. We open the show to the public and sell the remaining tickets. For More Information to Schedule Your Show! We're off on a camping excursion and it's sure to be a blast. The Camp Director has given us some initial instructions, we have our gear, packed our coolers and excitement is in the air! But, suddenly, the camp director's canteen is missing, and it holds valuable secrets! Was is stolen? Who has it? A detective is called in, and you must help the detective solve this baffling crime. This show perfect for 5 to 12 years old. The Star Gem, the most sought after jewel in the world, is missing and foul play is suspected. You must find clues to help the Detective get to the bottom of this baffling mystery. With the emphasis on fun and humor, five actors weave together a story and you solve the crime! Recommended ages for "Mystery of the Stolen Gem" are 5 to 12 years old. Adults enjoy the show, too, and tickets must be purchased for them. Public Kids Shows are recommended for ages 4 and up! "I want to thank you for helping me to celebrate Janie's birthday. All the girls are still talking about it. I enjoyed it as much as the kids did! The kids loved being able to help solve "The Mystery of the Stolen Gem." They were kept busy from the moment we walked in. Over all it was everything and more of what I expected. Thank you again so much. We will be back next year!" You're invited to Shazam's Secret Chamber, where Shazam, a wizard determined to do good, will show you the amazing powers of his magical wand. Then suddenly, the wand is stolen! It's up to you and your friends to solve the crime. You'll look through clues, uncover details and sniff-out the culprit in this not-to-be-missed mystery. Costumes are welcomed. Come prepared to have fun! Recommended ages for "Mystery of the Wizard's Wand" are 5 to 12 years old. Adults enjoy the show, too, and tickets must be purchased for them. Public Kids Shows are recommended for ages 4 and up! Recommended ages: 5 to 12 years old. Adults enjoy the show, too, and tickets must be purchased for them. Public Kids Shows are recommended for ages 4 and up! DeMille is showing off the famous Golden Mustache, and it is sure to rock the fashion world! But, what happens when top model and ballerina, Violet, decides to show off her new line of mustaches? Adding to the mayhem is Dude, the skateboarder, who is more than happy to crash the party. Trouble really starts to brew when J.J., DeMille's long-time photographer, comes up with his own motive to want the Golden Mustache in his own collection. It will be up to you, and your team mates, to help solve this high-profile crime of fashion! You and a band of pirates land in Pirates' Cove, and are hoping to find the treasure map. Captain Blyme has a magical stick which could be used to find the treasure map, but soon on, it is stolen! It's up to you to solve the crime and find the Stick of Cibola. Keep your eyes out for Polly, the parrot traveling with Mrs. Scuttlebutt. Polly knows lots of secrets and information! You are part of the live studio audience for the newest hit talent search TV show to hit the air waves, "The Competition PIT!" YOU will help to decide who is the winner of the Peabody Talent Trophy, and the million dollar prize money hidden inside it. Suddenly, the trophy is missing and the competition can't be finished until YOU help solve the crime! The host and three competitors are among the outrageous suspects. Come enjoy some high spirited fun! Costumes are welcomed. Come prepared to have fun! All Ages are recommended for "Mystery of the Talent Show Trophy" — Perfect for Families, Birthday Parties, Schools, Summer Camps, etc. — Kids and Adults will love this show! You, and a select group of people, are hiding in a military bunker, protected from the zombie take-over, when suddenly a murder occurs! 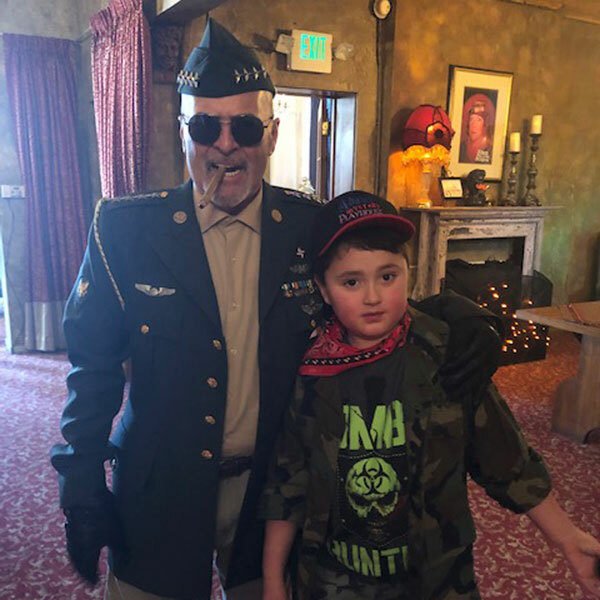 You are called upon to help solve the murder, but watch out … there may be zombies right in this very bunker! Costumes are welcomed and creepiness is the status quo.